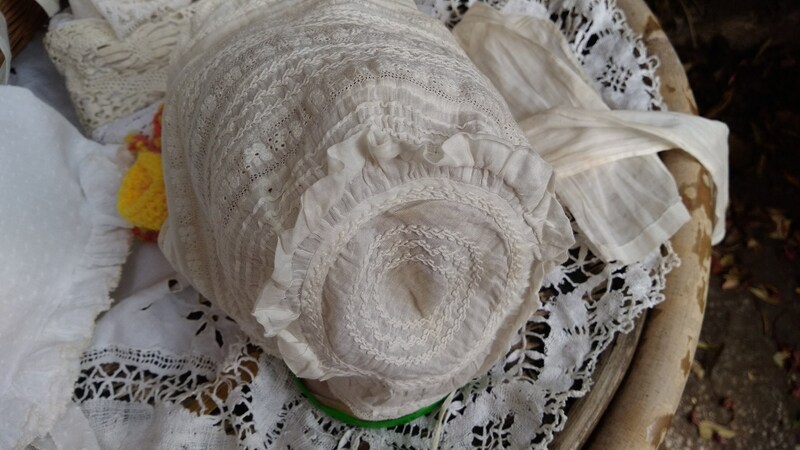 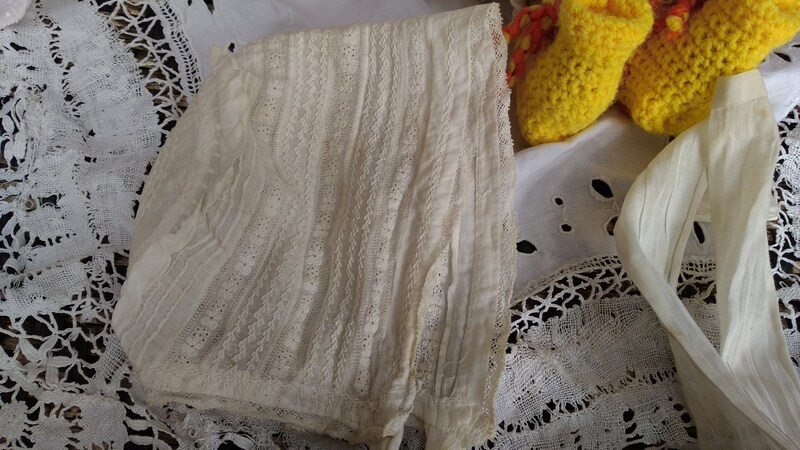 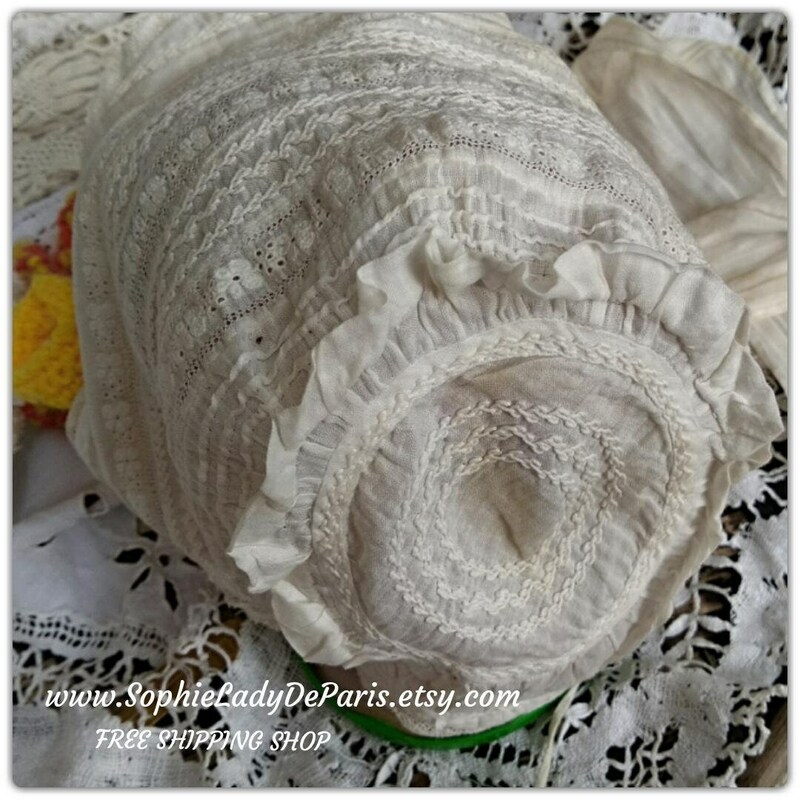 Victorian Baby Bonnet hand Embroidered - Antique French off white cotton made. 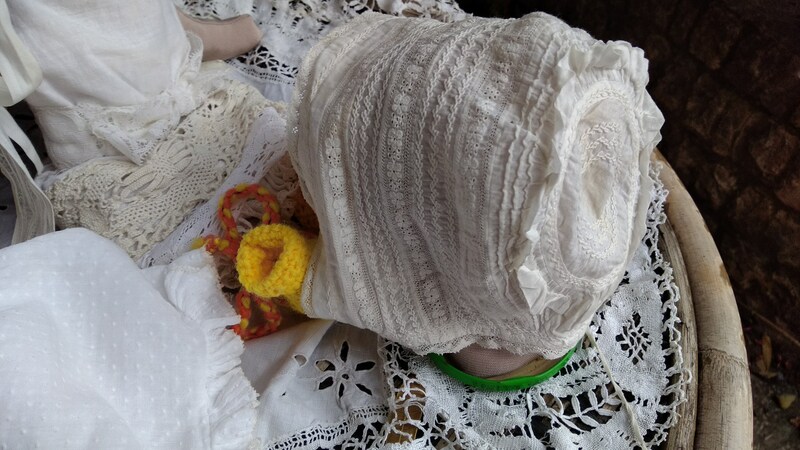 Small size for Baby or a big doll. 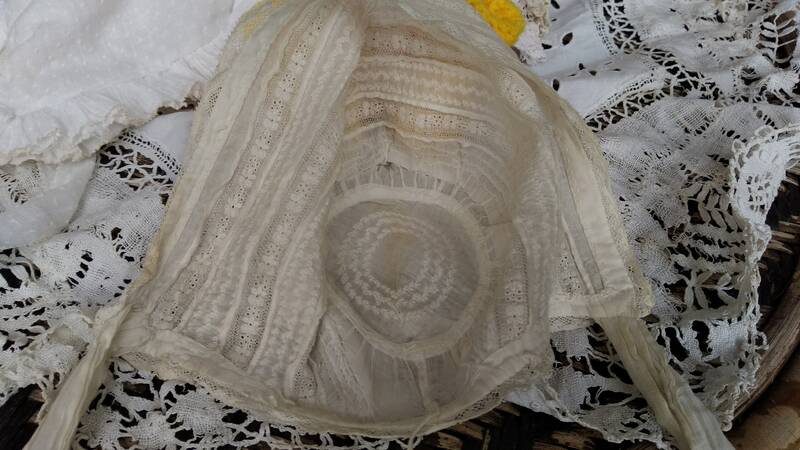 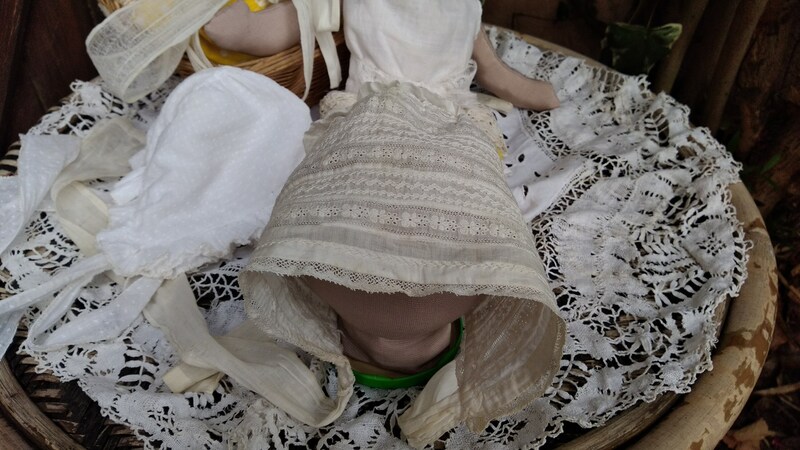 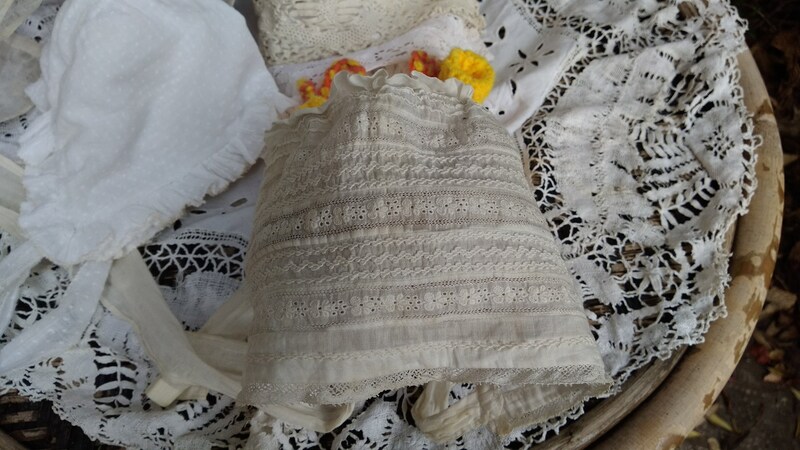 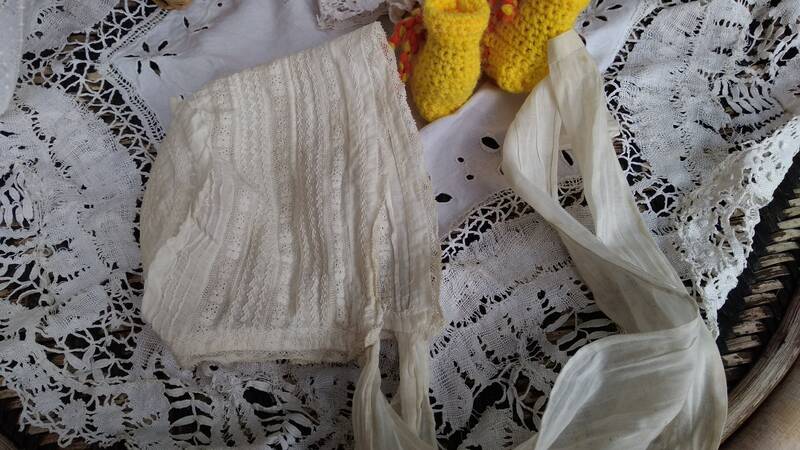 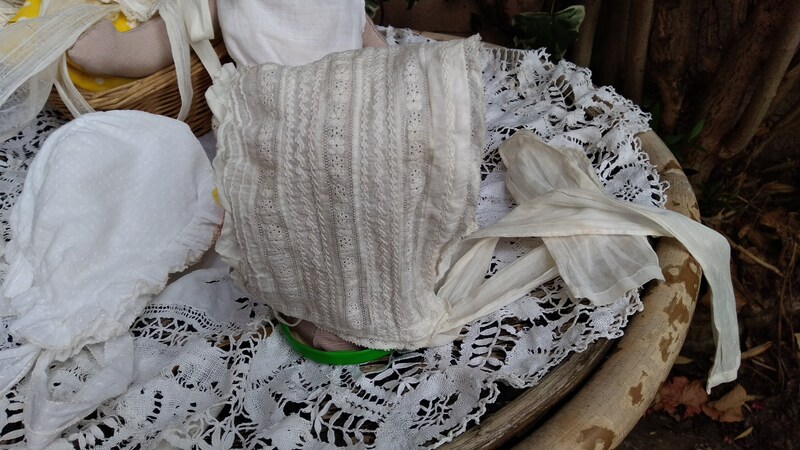 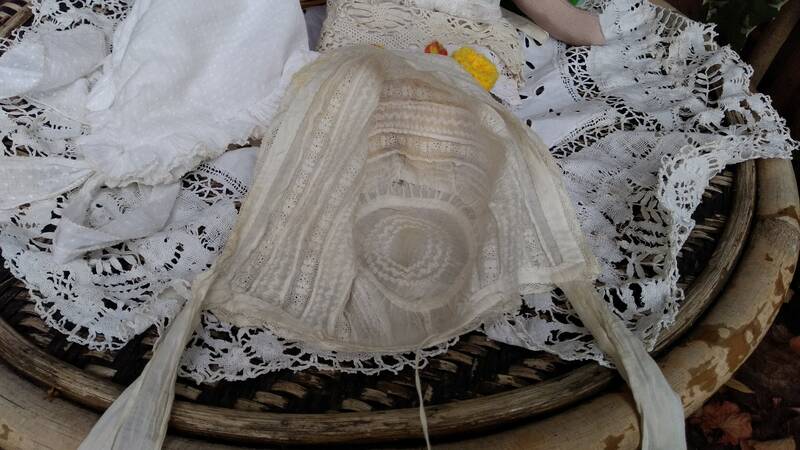 Lovely French Antique baby bonnet to keep as collectible or for a large doll's hat !